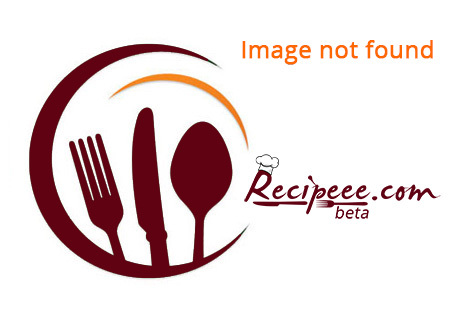 Anand Moholick Lives in : new delhi India I cook for the hungry technologists! I love to experiment with the Indian spices. I feel Indian spices have a lot of depth to them and I really like the warm earthy flavors of some of these spices. 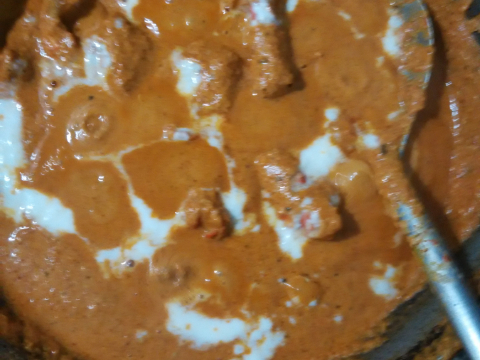 I try to apply my knowledge of Indian cooking to other cuisines as well. 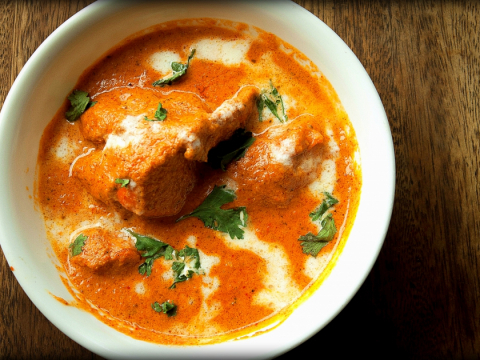 Butter Chicken is an all time favorite and a must-have Indian dish.It is generally low on the spicy rating, but you can make it as spicy as you want it. 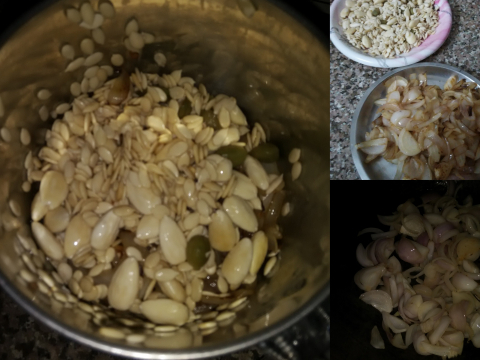 Its easy to make and simply delicious. 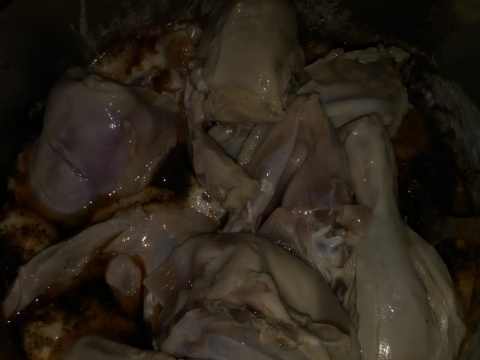 Remove skin from the chicken and wash thoroughly under running tap water. Prepare 2 cups of lemon juice and add a teaspoon of salt to it . With a sharp knife prick the flesh of the chicken all over and make incisions on the pieces. This helps the lemon juice to go all the way inside the chicken. 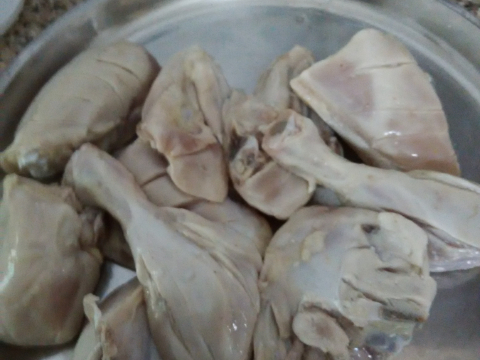 Place the chicken pieces in a bowl. 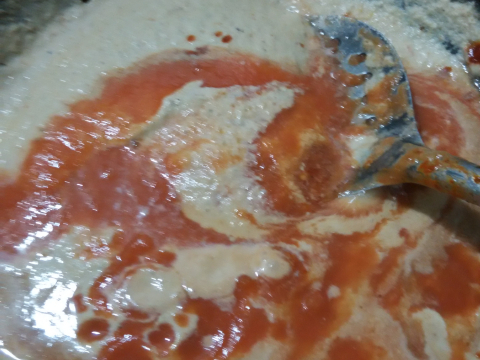 Mix the above mentioned ingredients for marination to form a thick paste. Pour this paste over the washed chicken and mix everything together. Cover the bowl and refrigerate for at least an hour. Thirty minutes before you are ready to cook, take the marinated chicken out of the refrigerator and allow it to come to room temperature. Grind all the ingredients mentions in the gravy section to make a thick paste. 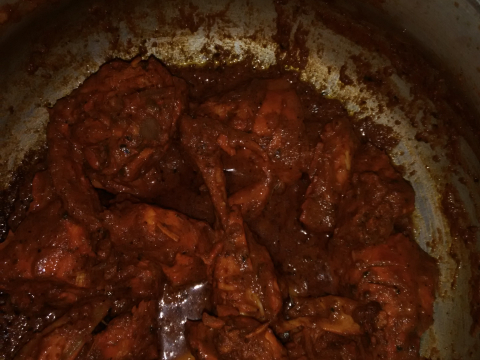 In a separate dish add the marinated chicken along with the paste it was marinated in. This is a nice first time recipe but I would keep it on simmar for over 30 minutes.